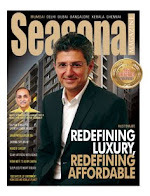 Seasonal Magazine: Can Public Make Money From the Coming IPOs? Can Public Make Money From the Coming IPOs? A) Anil Ambani B) Gautam S Adani C) Subrata Roy Sahara D) Vijay Mallya E) None of the above. Since you are smart, you would have zeroed in on Choice E, but should still be hard-pressed to identify who else in the India would match the audacious ambition of the Ambanis, Adanis, Saharas, or the Mallyas. Beaten? Wait, here are further clues about this Chairman & Managing Director. He presides over a giant diversified conglomerate of 242 companies. He is into oil, he is into power, he is into telecom, he is into infrastructure, he is into insurance, he is into banking, he is into every sector worth placing a bet. Still beaten? Well, many of you would have guessed by this time, but for those who couldn’t, I am sorry, the marks go to the quiz master. His name is Pranab Mukherjee. That quote above was by him, as reported by at least a couple of top rung newspapers. Well, not exactly. Instead of “IPOs & FPOs”, he had used the word “disinvestment”. But that would have been a giveaway. Still, we prefer to believe that Pranab Kumar Mukherjee never spoke these words. But there is no denying the fact that the clout of the PSUs and its Boss are both on a steady rise. Today, around 40% of GDP growth comes from PSUs, and while the private sector continues to languish in the financial downturn, the PSUs have collectively achieved more than 20% annual growth. Interestingly, this has resulted in mutual fund companies now making a beeline for launching funds that invest only in PSU equities. Two huge attractions of PSUs as felt by the stock market investors are their monopoly nature and their extremely low debt equity ratio, making them the safest growth opportunities. During the past several years, huge makeovers and reinventions have been happening in several of the 240 odd Central PSUs. Professional CEOs have been roped in from the private sector, and in some cases, even from abroad. A few turnaround specialists have also turned up from the IAS cadre. Heavy Engineering Corporation (HEC), Projects & Development India Ltd (PDIL), WAPCOS (formerly, Water & Power Consultancy Services), Bharat Pumps and Compressors Limited (BPCL), EDCIL (formerly, Educational Consultants India Limited), Hospital Services Consultancy Corporation (HSCC) etc are some of the remarkable public sector turnarounds in recent years. As an aside, it would be interesting to find out who is the real boss of PSUs - the office of the Prime Minister or the office of the Finance Minister. Whoever it is, the point is simple - the modest abandons power, while the assertive usurps it. Anyway, Dr. Singh and Mukherjee are out to collect a record sum by disinvestment that will be more than what the previous governments have collected in the last two decades. This year alone the collection will be to the tune of Rs. 20,000 crore from top performing PSUs like NTPC, SJVN, NMDC, SAIL, REC etc. Coming back to the Mukherjee quote, what is wrong with it? Isn’t this what all of us wanted – a public sector that is as ambitious and agile as our private sector? Well, there is a huge difference. Reliance and ONGC are in the same industry, both are public limited companies, but there is this huge difference. SBI and ICICI Bank are in the same business, both are public, but again there is this discomforting difference. It can be argued that both sectors run on public money – investors, IPOs, secondary markets etc all apply to both – but companies like RIL & ICICI are always private companies. Call its public investors private investors if you like. They are there by choice. But is it the same with truly public companies like ONGC or SBI? Forget their private investors, but what about us? The taxpayers? Is our money there by choice? Do you personally believe in recapitalizing Andhra Bank with your money or ONGC drilling that next hole in Iran with your money? Probably not. But you don’t have much choice. It is easy to confuse things between public and private using stock market lingo. But this is a country where the number of retail equity investors hasn’t reached that high figure - 1% - of the population, still. Agreed, NSDL & CDSL has 1.6 crore demats, but on one end there are significant duplicates, and on the other end a lot of empty accounts. It is not the same as the taxpayer base. Again, there is a riddle. Only 3% of the population pay personal tax in this country. And only 11% of the listed companies pay tax. But that is just the income tax or corporate tax. What about the numerous other taxes, levies, & surcharges that we pay whenever we buy, sell, travel, invest, redeem, or avail a service? PSUs are able to shine only on capital from these kinds of accruals. But the media projections are often the opposite. We hear of Bank Chairmen paying hefty dividend cheques to the Government, and organizations providing more than 5% of India’s GDP. SBI has even stood guarantor to the Indian Government once. One can only pity the intelligence of that lender, whoever it is, to believe in the soundness of SBI more than the soundness of India. But what is the real story behind these PSUs? Many giant PSUs are still 100% owned by the Government and almost 60% of SBI’s ownership is still with the Government. Substitute the word ‘Government’ with the word ‘Indians’ and read that again. Because in one way or other, all Indians are taxpayers too. That is why whenever anyone in the Government speaks of disinvestment, they should pause and think about whose investment they are disinvesting and to whom? It is the public’s money, and it should go to the public too. If that is not entirely possible due to market constraints and to encourage foreign investments, at least make sure that the public gets a fair pie at discounted prices. The concept is akin to the cry for issuing equity shares to people whose land is acquired for developmental projects. How good it would have been for Tata, West Bengal, and the people there, if all concerned had heeded to such a call. Anyway, with some of the biggest IPOs like BSNL & LIC yet to happen, and numerous Nava Ratnas and Mini Ratnas still capable of powerful FPOs, the best opportunity for the true owners – the public – is yet to come. Governments and Ministers are just custodians of this wealth. And here is an interesting afterthought. Last month, Minister of State for Finance SS Palanimanickam claimed in Rajya Sabha to have collated a 100-company list that together owe the exchequer an unbelievable 1,41,000 crore in tax dues. While the list is dominated by private sector giants like Coca Cola, Tata Motors, & Sahara India, we don’t have a clue why this list also includes several public sector companies like SBI & IOC. The evaded figure is interesting, as it is the double the guesstimated sum stashed away in Swiss banks, and more than thrice what India spends on NREGA.